Sometimes when it comes to creative gardening, it’s the finishing touches that make all the difference, adding a real touch of character to your outdoor space. From the carefully selected terrace furniture to the sweet wrought iron arbour or the winding pebble path, it’s the details that lift the whole design to become something quite extraordinary. One area where you can make your mark and dramatically change the style of your garden is in the edging designs you opt for. Whether you’re hoping to create a sleek, contemporary finish or a charming rustic feel, a subtle tone or a nostalgic one, the best garden border edging can say a lot. Here are a few inspirational border edging ideas for anyone looking to optimise their garden’s style without breaking the bank. 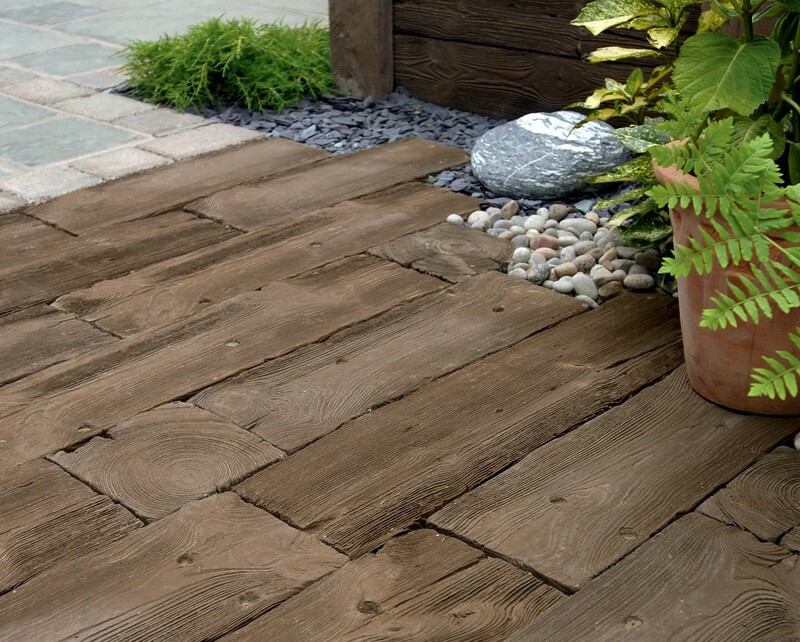 Sturdy and solid, old yet new, railway sleepers are enjoying real popularity right now both indoors and out. If you’re looking to achieve a deliberately unpolished, laid back finish with a respectful nod to Britain’s great railway and industrial heritage, sleepers are an excellent choice. They also score high in the reuse/re-purpose stakes and will look fantastic with billowing swathes of brightly coloured wildflowers come June and July. Bricks are incredibly versatile. You may opt for a modest border of crumbling red brick, a meticulously laid herringbone design or a pretty basket weave pattern, and achieve a different look and feel each time. 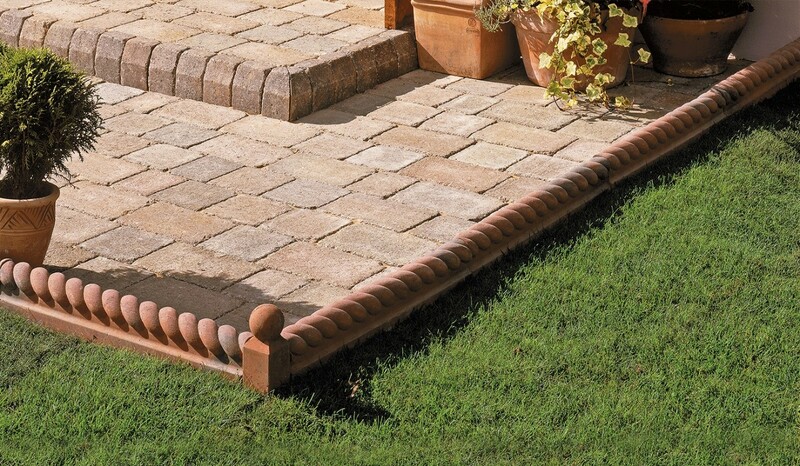 Plus, of course, with brick you can choose exactly how wide you want your border edging to be. Gardeners have plenty of choice when it comes to the creative use of stone. It may be that you favour a sawn stone look in creamy or silvery tones to blend with your planting, or to create a contrast with it. Quality natural stone lends a garden real warmth, as well as a natural finish. Terracotta tiles or edging products often have a vintage or Victorian feel to them, which can be just right for some garden styles. How about an antique rope in glazed terracotta clay? This neat look works well with snug bedding plants and spring bulbs bursting with cheerful colour. Concrete edging can lend gardens a truly slick and contemporary feel, but the products on the market today are also able to help you achieve other, very different styles. Some hewnstone edgings are deliberately designed to emulate a more natural stone look, complete with textured surfaces and earthy colourways like slate and dark buff. Raising beds is one way to give definition to your garden without using traditional edging products. To make a solid statement, how about using Croft Stone Walling? Easy and fast to install, the end result looks country cottage cosy and is the ideal backdrop for all sorts of plants and flowers. 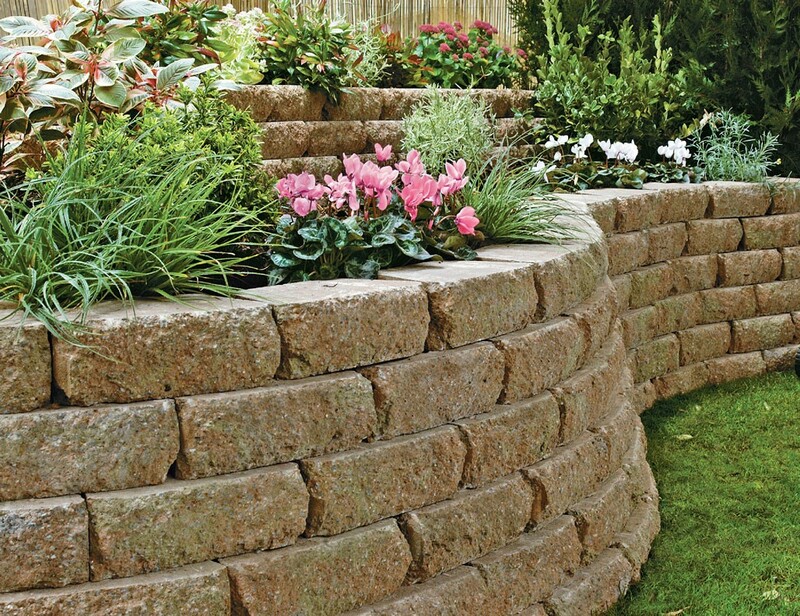 There’s a great range of options for those looking to re-edge their borders. It doesn’t matter if you’re hoping to achieve a look that’s quirky or traditional, coolly modern or charmingly pretty, the right border edging material is out there for you.